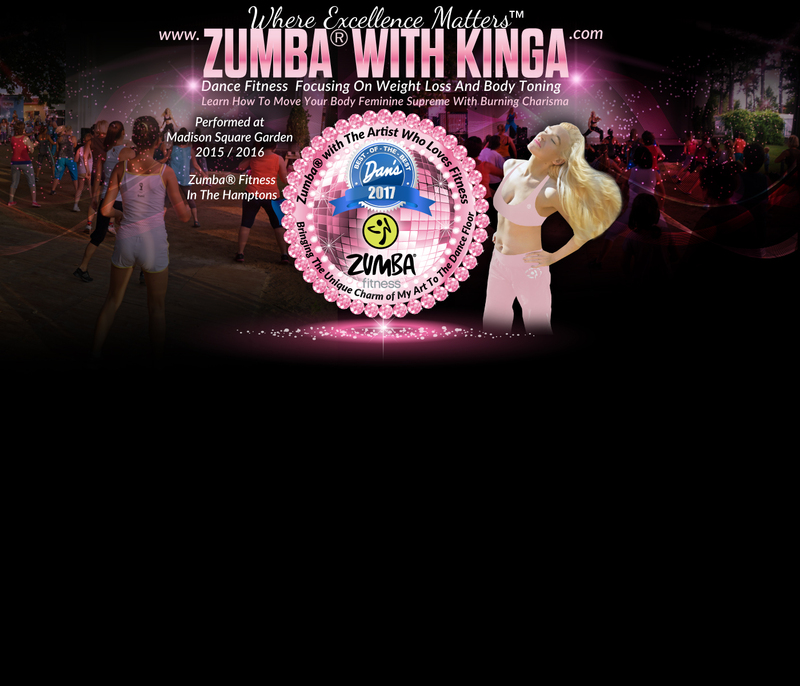 Dance fitness with Kinga incorporates today's hottest fitness programs, Zumba® and LaBlast®, to create a calorie-incinerating workout focused on weight loss and bogy toning disguised as a dance party. 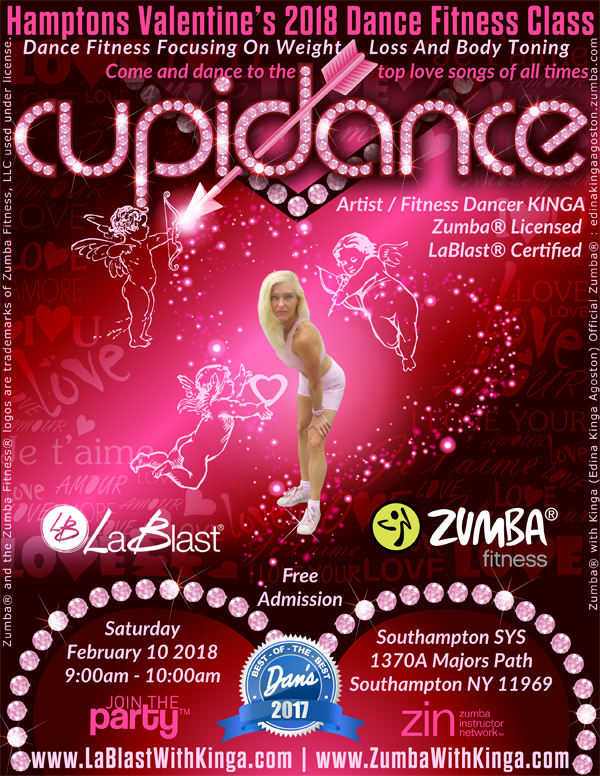 Kinga is a licensed Zumba® instructor and certified LaBlast® instructor and is also available for master classes, dance fitness gigs, special events, charity benefit fundraisers and private/corporate parties. Zumba Fitness® is a Latin-inspired dance fitness program that blends red-hot international music, created by Colombian-American dancer, choreographer and fitness trainer Beto Perez. LaBlast Fitness® is a ballroom dance based partner free dance fitness program created by Dutch-American ballroom dance champion, professional dancer, Emmy-nominated choreographer and Dancing with the Stars pro Louis van Amstel. All rights reserved of the design concept/layout of web site design (web pages, graphics, montages, etc.) and print design (posters, postcards, flyers, etc. ).